Education Qualification- Interested candidate must be doctorate Ph.D with full time regular MBA Course in First Class from a reputed university. Interested candidates can apply for the faculty jobs at VIT University by forwarding/sending their well formatted Resumes/CV to chennai.hr@vit.ac.in on or before 6 January, 2013. You can find more information and jobs at its official website. 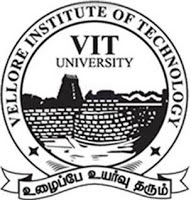 Follow the below mentioned link to know about the recruitment and other vacancies at VIT University.